Home Branding Governance Modern Experience PowerShell SharePoint Online SharePoint Online Management Shell Theme SharePoint Online: How to Hide Default Themes? 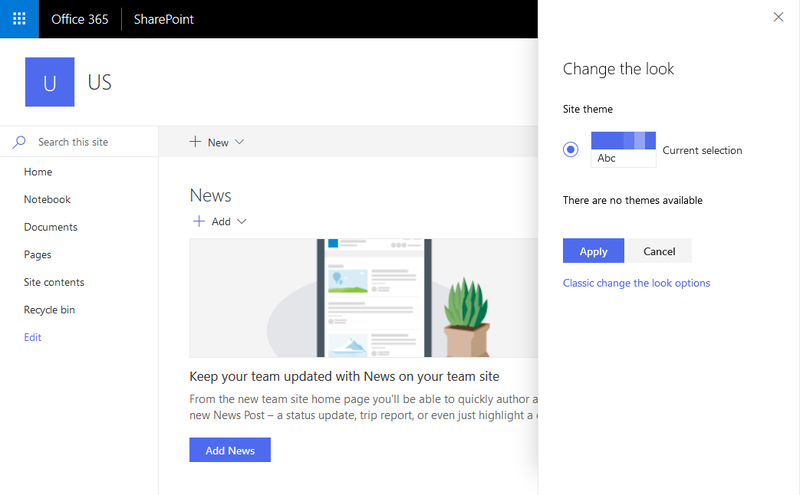 Themes are quick way to add branding to SharePoint Online sites. However, we wanted to restrict site owners from changing the themes for uniform look and feel over all sites. Fortunately, SharePoint Online provides a cmdlet to hide default themes and enforce governance. Open SharePoint Online Management Shell, and run this PowerShell script to hide default themes in SharePoint Online. Write-Host -f Yellow "Default themes are already hidden!" Write-Host -f Yellow "Default themes are now hidden!" To reverse (Enable all default themes), simply call the "Set-SPOHideDefaultThemes" cmdlet with "$False" parameter.